Christmas Elf Kids Vector Illustration Of Santa Claus Helpers Cartoon Elfish Boys And Girls Young Characters Traditional Costume Celebration. Royalty Free Klipartlar, Vektör Çizimler Ve Stok Çizim. Image 89817683. 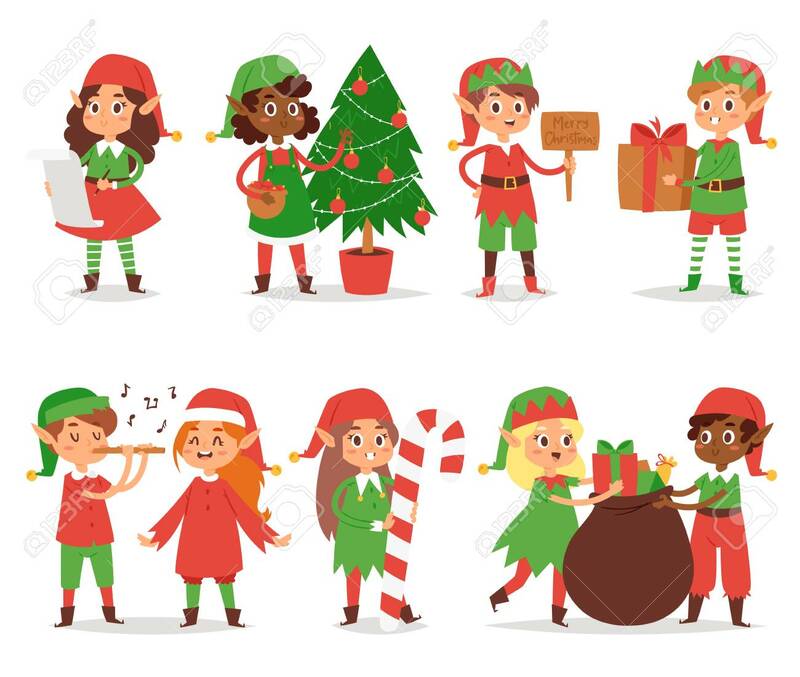 Stok Fotoğraf - Christmas elf kids vector illustration of Santa Claus helpers cartoon elfish boys and girls young characters traditional costume celebration. Christmas elf kids vector illustration of Santa Claus helpers cartoon elfish boys and girls young characters traditional costume celebration.